Crustaceans are aquatic animals that have jointed legs, a hard shell, and no backbone. Examples include crab, crayfish, lobster, prawns, and shrimp. Most molluscs have a hinged two-part shell and include clams, mussels, oysters, and scallops. It can also include various types of octopus, snail, and squid. Crustaceans and molluscs, sometimes collectively referred to as shellfish, are considered priority food allergens by Health Canada. Priority food allergens are the foods that cause the majority of allergic reactions. Crustacean and mollusc allergies predominately affect adults and are less common among young children. These allergies tend to develop later in life than the common childhood allergies. Allergies to crustaceans and molluscs are usually lifelong. 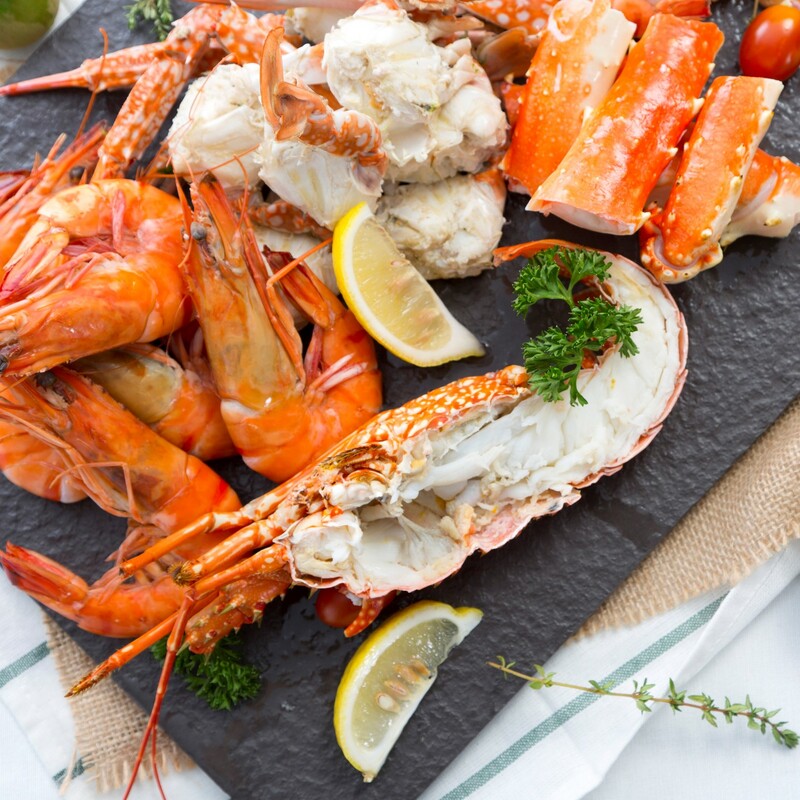 People who are allergic to one type of seafood, may not be allergic to other kinds of seafood. Many people are only allergic to a single type of seafood. For example, some people can eat fish safely, but have allergic reactions to crustaceans like lobster or crab. If you are allergic to one type of shellfish (like molluscs), consult your allergist before trying other types (like crustaceans). Individuals with crustacean or mollusc allergies can experience allergic reactions without eating these foods. On rare occasions, exposures to proteins in cooking vapours (such as steam from boiling lobsters) and on dishes used to present these foods (like sizzling woks or skillets) can cause an allergic reaction. If you have an allergy to crustaceans and molluscs, keep an epinephrine auto-injector (e.g., EpiPen®) with you at all times. Epinephrine is the first-line treatment for severe allergic reactions (anaphylaxis). If crustacean or mollusc is part of the food, the specific species/type of crustacean or mollusc must be declared in the list of ingredients or in a separate “contains” statement. Crustacean and molluscs should be listed on the label of pre-packaged foods using their common names (e.g., lobster, crab, clam, oyster, etc.). The “may contain” label might contain the specific type of crustacean or mollusc (e.g. “may contain shrimp”) or it could say “may contain crustaceans or molluscs”. Watch for cross-contamination, which is when a small amount of a food allergen (e.g., shrimp) gets into another food accidentally, or when it’s present in saliva, on a surface, or on an object. This small amount of an allergen could cause an allergic reaction.